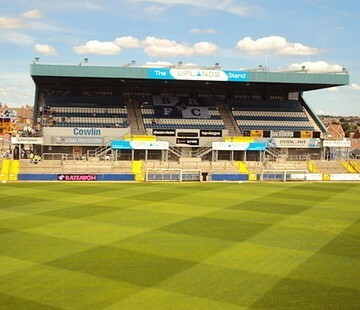 Bristol Rovers have played at the Memorial Stadium since 1996, having previously played at a number of stadiums including the Eastville Stadium and Twerton Park. The Memorial Stadium itself was opened in 1921 and was dedicated to the memory of local Rugby Union players killed during the First World War. The stadium is an unusual mixture of stands, which makes it look very unique. On one side is the West Stand, which looks a lot like a cricket stand because of its pavilion. The Blackthorn End is a small covered terrace behind one goal, while the East Stand which is a combination of both covered seating, terracing, and an open terrace either side. The majority of away fans visiting the Memorial Stadium are located in the East Stand, with a typical allocation of around 1,100. If the weather is particularly bad, head to the seats made available for away fans in the South Stand. There is a small car park at the Memorial Stadium, but this isn’t available to the general public on matchday so avoid the temptation of heading here. Instead there is a fair amount of on street parking available within walking distance of the stadium itself. We’ve compiled a list of car parks, below, near to the Memorial Stadium for hassle free parking while you’re at the match. Gloucester Road (street parking) BS7 8TW Free 0.8km Gloucester Road is a close walk to the stadium and street parking is available if you arrive early enough. However, cars are left at your own risk as the area is not patrolled. Muller Road (steet parking) BS7 9RE Free 0.6km Muller Road is also a close walk to the stadium and again there is street parking available for those who arrive early. Again, cars are left at your own risk. The nearest station is actually Filton Abbey Wood, but as it is not served by mainline trains, it is more likely that you’ll arrive into Bristol Parkway. It’s around three miles from the stadium so most fans take a taxi which will cost around £12, or the number 73 bus. For fans that do want to walk, turn right out of the station and keep walking until you reach a mini roundabout and take a left, and then follow it to the right on to New Road. Continue for over half a mile on New Road then take a right on to Station Road. Continue along Station Road before taking a left on to Filton Avenue. Walk down Filton Avenue for over a mile and a half, and you will see the stadium approaching on the left hand side. There are a number of away friendly pubs near the Memorial Stadium, all of which cater to different needs. Please note, however, that some bars require club colours to be covered and some do not allow children. However, rather than take our word for it, we want to give you the view from other away fans who have visited the Memorial Stadium. Over the coming months we will be building up fans reviews of the best places to drink on an away trip to Bristol Rovers, and you’ll be able to find them here. Bristol offers a variety of overnight accommodation to suit all budgets. 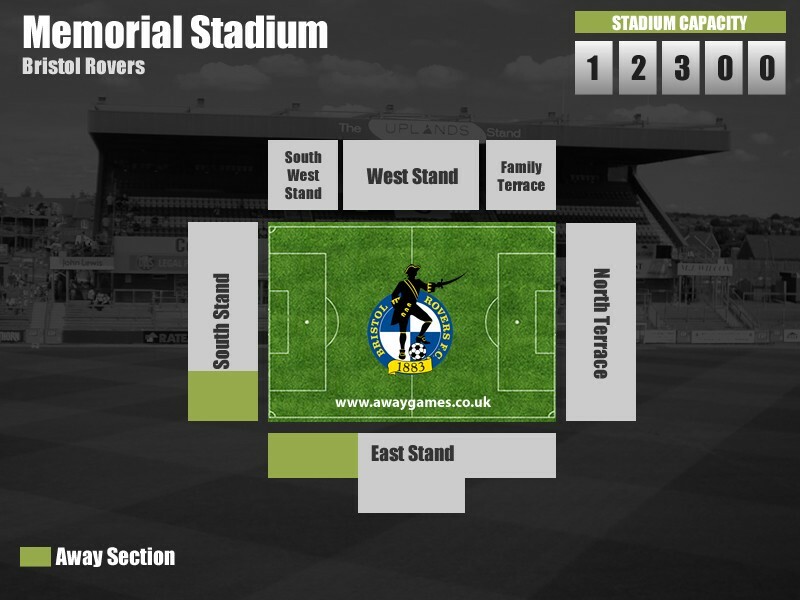 See what other away fans think of Bristol Rovers’ Memorial Stadium in our ‘Away Day Reviews’. See how Bristol Rovers perform in our away day rankings, where away fans rate the pie, pint, cuppa and away day overall.